Tric Trac: contains some of the cleverest tools I have seen for setting up CATI. 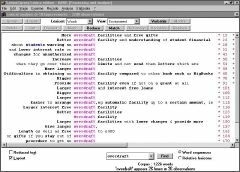 Recently launched packages SphinxSurvey and Tric Trac join a somewhat crowded market for end-to-end PC survey software. Over 30 available desktop packages which combine questionnaire design, data collection and analysis. But few packages rise to the challenge of each stage in the process with the same degree of accomplishment. Development effort often tends to gravitate to some areas at the expense of others, and these two packages are no exception. SphinxSurvey, marketed in the UK by Scolari, does a reasonable job of allowing you to design questionnaires and even key them in, and a much better job of analysing them. You would not find much joy in using SphinxSurvey for lengthy questionnaires -- for instance, options for routing are limited. But users speak well of how easy and productive it is for simple questionnaires. Peter Christopherson, at media researchers CARMA International, has used Sphinx on four different projects, the latest of 200 PR professionals. "We like the real ease of setting up the questionnires and processing the answers. It is intuitive and easy. We've had no problem introducing it to people with little or no previous familiarity with survey research. We had people up and running in half an hour." The real beauty of this system is in the analysis. Sphinx cleverly avoids the need to set up any analysis at all. As soon as you have the data, you can start clicking through your results. The interface is perhaps a little more cluttered than it could be, but it is easy to explore data from a number of different angles, then move on to more in-depth analysis or segmentation using built-in statistical options, charting and mapping capabilities. Mr Christopherson is impressed with how easy it is to move output from SphinxSurvey into a report. "It is one drop down menu - not cut and paste - and it posts the whole table or chart, along with any footnotes, directly into Word. It is better than it is between Microsoft's own applications." SphinxSurvey also contains a powerful lexical analysis module. This helps you to identify frequently occuring words or phrases, and then to develop your analysis of specific items using tables and charts to describe relationships between the concepts. Despite a general reluctance in this country to use lexical analysis, it can be very revealing when applied to verbatim questions, or to transcripts of focus groups. Sadly, the development effort into lexical analysis seems to have been be at the expense of more traditional methods to code openended questions. 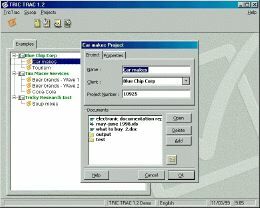 Tric Trac, unlike SphinxSurvey, is a full CATI system which uses a single integrated environment to develop scripts and then run the fieldwork across a local area network. It is very rich in functionality. Torben Lausten, from Danish manufacturer I&A told Research "Our ambition was to create a solution where researchers feel they are in control of the whole process. That is not to say that research executives have to set up the whole questionnaire, but that it should be possible for them do this." A lot of thought has gone into the system. It opens well, recognising that researchers don't usually work on just one project, but a whole caseload, and providing a complete environment in which to manage different projects, including all the other paperwork and documentation associated with them. It contains some of the cleverest set of tools I have seen for setting up CATI or CAPI interviews. The include "automatic awareness logic" for dealing with spontaneous questions, and a very smart set of built-in routines for dealing with complex sections of questionnaires where the questions need to add up to a total, e.g. points out of 100. Something that can easily take half a day and require a lot of technical skills in other systems took us about 10 minutes to perfect: it was not difficult. But I found the procedure for adding more questions from within TricTrac a bit clumsy. The option to set up questionnaires on paper was tantalising, as it is also work in progress. It does produce something you could send to a client, but not really to interview from. Sadly, it also ran out of steam in its analysis module. Proper analysis, along with paper questionnaires, are to be addressed in the next release. Fortunately there are very good export capabilities. Gfk's Jesper Kromann-Larsen has been using Tric Trac in the Denmark office. "It is a very productive way of working", he explained. "A nice thing about it is you use the same program for CAPI and CATI." Tric Trac has allowed them to change the way they work, and avoid the bottlenecks that typify a traditional data processing set-up. "A researcher can do the basic work. The consultant can deliver this file to the production team, and they will then check the conditions. But if the production team is overloaded you can force a questionnaire through which you can't do with a traditional CATI program." So: if you want quick, simple questionnaires, with sophisticated analysis and charting capabilities, then SphinxSurvey is a good choice. 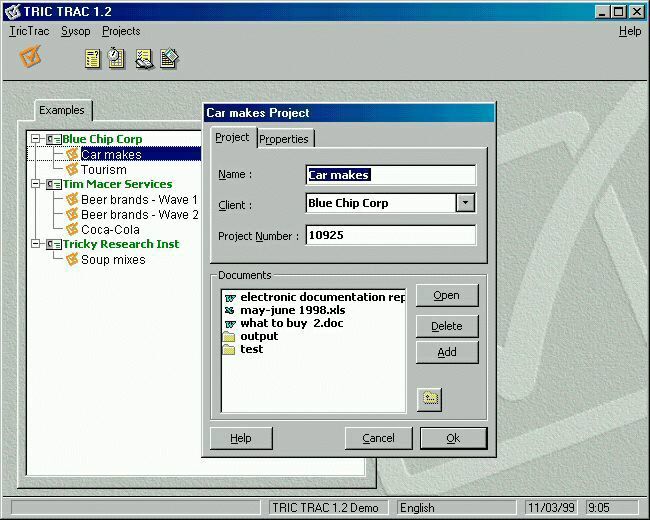 To revolutionise the way you work with CATI and CAPI, if you are prepared to use someone elses's analysis tools, then Tric Trac is for you. If this product devlops the way I&A hope it will, it could be your ticket to the future . Published in Research Magazine, the independent voice of market research in Great Britain, April 1999, Issue 395.